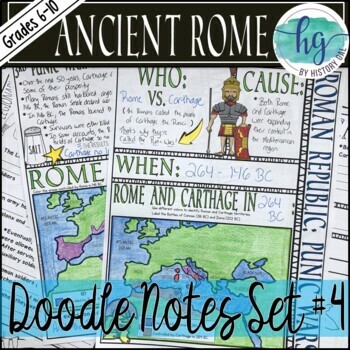 This Ancient Rome doodle notes set covers the Roman Army and the Punic Wars between Rome and Carthage. 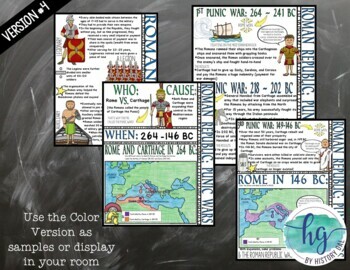 Students will enjoy coloring and doodling as they learn about the Legionary and Auxiliary soldiers and the three Punic Wars. 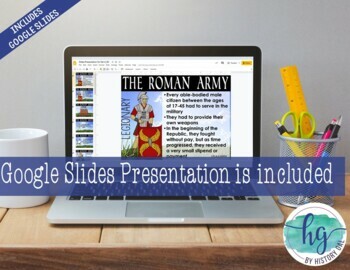 **This zip file contains PDF and PowerPoint files. Want to learn more about the benefits of doodling? 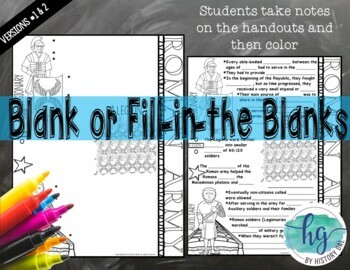 Head over to Math Giraffe's blog to read an informative post or jump to the Tools for Teaching Teens website and watch a video from Math Giraffe! Doodle notes is a trademarked term used with permission. Please visit doodlenotes.org for more information. I value your feedback greatly as it helps me determine which products are most valuable for your classroom so I can create more for you. If you have any concerns or any of my resources are not what you expected, please contact me first before leaving feedback so I can have a chance to fix it for you! You can email me at andrea@musingsofahistorygal.com. Click HERE if you'd like to get freebies from me sent to your inbox.